Hiya guys! What a long and dreadful day. I'd insert the little poop emoji here if I could because that would literally be the best description of my day. Long doctor visits and pouring rain outside, but that's not even the worst part. I went to Target hoping to find some planner supplies (I've been seeing a lot of ladies find great deals there) and I ended up walking out empty handed. Really disappointing indeed. I share survive though, with the help of these amazingly drool-worthy polishes. A Night in Vegas Collection by Pipe Dream Polish... enough said. In all seriousness, these polishes have been hot items (selling out within five minutes) for the past few months and don't seem to be losing steam anytime soon. And with good reason. My friend Cheyenne (@cdbnails143) and myself decided to put our collections to use and do a simple watermarble. Fair warning, this is one of the few times I'm going to puff out my chest and be totally vain. I have to admit... this looks pretty dang cute if I do say so myself. Haha. I love the vibrancy of these colors and they all mesh together so well too! I'm not even good at watermarbling and look at how awesome this came out. I didn't even need China Glaze's Fairydust to cover up my mistakes haha. 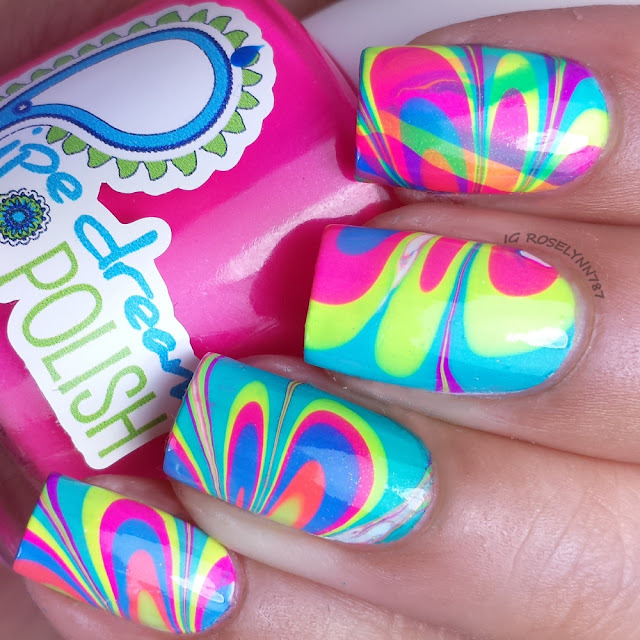 As I mentioned before, all the polishes used to create this watermarble were the seven polishes from A Night in Vegas Collection by Pipe Dream Polish. I'm really glad I was able to purchase the whole collection when I did because even months after release they sell out within minutes. 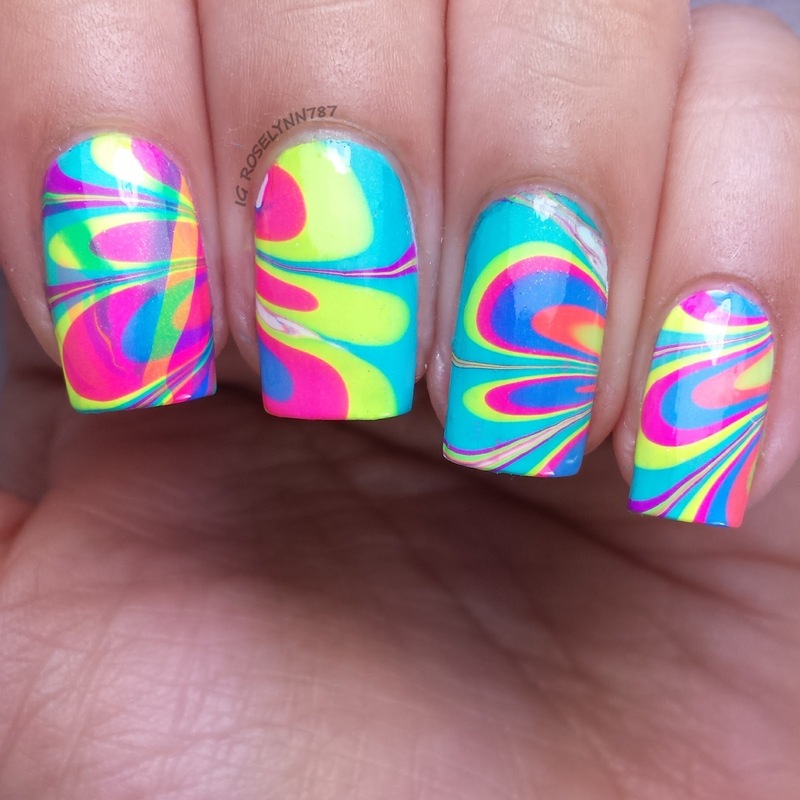 What makes these polishes so popular is the fact that they make watermarble so easy. Obviously you still need to follow the basic rules with the water temperature etc, but they spread really easily in the water. If you haven't had a chance to check these out I definitely advise to follow Pipe Dream Polish for her next restock. I hope you guys like it, let me know what you think, as always, I love hearing from you guys.